1) (Lincolnshire). Ar. on a fesse betw. three cinquefoils gu. a fleur-de-lis erm. 2) (Norfolk). Sa. on a fesse ar. betw. three dexter hands couped bendways or, five mullets of the field. 3) (granted to William R. Bates, of Liverpool, merchant). Az. on a fesse dancettee betw. three dexter hands couped bendways or, as many fleurs-de-lis of the field, Crest—On a mount vert a savage wreathed about the waist with oak and holding in the dexter hand three arrows conjoined, two in saltire and one in pale points upwards all ppr. 4) (Milbourne Hall, Northumberland). Sa. a fesse engr. betw. three dexter hands couped at the wrist headways ar. Crest—A naked man holding in the hand a willow-wand ppr. 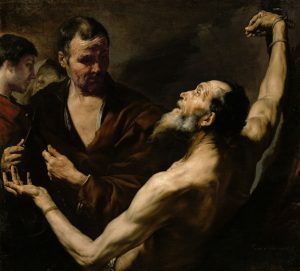 Motto – Et manu et corde. 5) (Walsingham, co. Durham). Per fesse indented or and vert on a bend az. three lions pass. of the first. Crest—An arm in armour embowed, the hand grasping a sword point to dexter all ppr. Motto—Ernst und trew. 6) Ar. on a fesse betw. three cinquefoils gu. three fleurs-de-lis erm. Crest—A stag’s head couped pierced with an arrow all ppr. Motto—Lahore et virtute. 7) (Henry William Bates, Esq., of Denton, co. Sussex, great grandson of John Bates, of Beaconsfield, co. Bucks, alderman of the city of London). Sa. a fesse betw. three hands ar. Crest—An arm in armour embowed, in the hand a truncheon. Motto—Manu et corde. 8) (George Bates, Esq., of Gothorsley House, near Stour­bridge). Sa. a fesse engr. betw. three dexter hands erased at the wrist bendways ar. Crest—A stag’s head erased transfixed by an arrow ppr. Motto—Fert palmam mereat. 9) (Numby, co. York). Sa. a fesse engr. betw. three dexter hands couped ar. 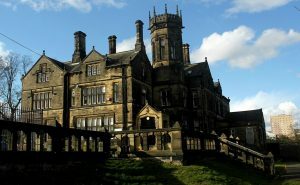 10) (Yorkshire). Sa. a fesse betw. three dexter hands appaume ar. Crest—A demi lion ramp, holding in the dexter paw a thistle and in the sinister a fleur-de-lis ppr. 11) Sa. a fesse betw. two dexter hands couped or. Crest—A lion’s head erased gu. 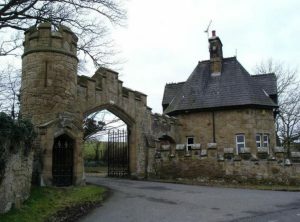 12) (Aydon, Northumberland, descended from Georgs Bates, of Horsley, in the parish of Ovingham, son of George Bates, mentioned in the will of his uncle, George Bates, vicar of Kelloe, co. Durham, and grandson of Gawen Bates, of Horsley, whose name appears on the Muster Roll 29 of Henry Vlll. The present representative is Cadwallader John Bates, Esq., of Aydon and Langley Castle, Northumberland). Sa. a fess engr. or, betw. three dexter hands couped at the wrist bendwise ar. ; quartering, Moore, of the Moore, Shropshire, viz., per pale az. and ar. barry of twelve counterchanged; Blayney, of Castle Blayney and Blayney, of Gregynog. Motto—A calow blaenawr os na a llaed. 13) (Manydown, co. Southampton, and Gyrn Castle, co. Flint, bart. Created 13 May, 1880). Ar. on a fesse betw. in chief two quatrefoils, and in base a fleur-de-lis az., a quatrefoil betw. two fleur-de-lis of the field. Crest—A stag’s head erased az. attired or, charged on the neck with two quatrefoils in pale, and pierced by as many arrows in saltire, all gold. Motto—Labore et virtute. 14) (Yorkshire, 1565). Sa. a fesse engr. ar. betw. three dexter hands couped bendways or. Crest—A stag’s head ar. attired or, erased gu. vulned through the neck with an arrow gold, feathered and headed of the first. 15) Sa. a fesse engr. ar. betw. three dexter hands bendwise or. Crest—A stag’s head erased pierced through the neck with an arrow. 16) (Little Chester, co. Derby). Sa. a fesse ar. betw. three dexter hands palms upwards bendwise or Crest—A cross pattee. 17) (Foston, co. Derby). Same as Bate, of Little Chester, bnt with the fesse engrailed. 18) (Ashby de la Zouch, co. Leicester, descended from Bate, of Little Chester). Sa. a fesse ar. betw. three dexter hands bendwise or. Crest—A dexter hand apaumee. 19) (Ashby de la Zouch). Sa. a fesse ar. betw. three dexter hands ralms upwards bendwise or. Crest—A dexter hand apaumee. 20) Ar. on a fesse gu. betw. three cinquefoils of the second, as many fleurs-de-lis erm. Crest—A bull’s head couped erm. armed or. 21) Sa. a fesse ar. betw. two dexter hands or. 22) Sa. a fesse betw. three dexter hands (another, couped bendways) ar. 23) Sa. a fesse and in chief two dexter hands or. 24) Or, three bats sa. 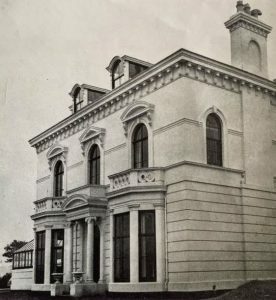 25) (Charles Spence-Bate, Esq., Mulgrave Place, Plymouth). Sa. a fesse engrailed ar. betw. three dexter hands couped bendways or. Crest—A stag’s head erased pierced through the neck with an arrow ppr. Motto—Dieu et ma main droite. This last name has four origin theories and meaning. First, it is likely a baptismal/patronymic name meaning “the son of Bartholomew”, deriving from the personal (first) name Bate, it’s nickname or reduced/shortened form. The masculine given name Bartholomew is an ancient Biblican name deriving from Aramaic, meaning “son of Talmai”, coming from the word bar (son) and talmai from the Hebrew word telem, which means furrow ( a ridge of land for farming), and hence it literally translates to “son of furrows” (or “son of Ptolemy”). The name originated in Canaan, a part of the Ancient Near East or Levant. The name was popularized by Bartholomew, one of the Twelve Apostles of Jesus Christ who was born in the first century AD in Cana, Judea, Roman Empire, a missionary to India and Armenia, who was martyred. Second, it may have originated as an occupational surname for a boatman, deriving from the Old English word bat, meaning boat. Third, the name may derive from the Old Norse bati, meaning gain or profit, used in the context of farming, meaning “lush pasture”, likely denoting a person who lived on or near such a place. The letter s on the end of the name indicates it’s a patronymic (son of). Fourth, in some cases, it is an Americanized form of the German surname Betz. One source asserts the family first held seat (land, manors, titles/positions) in Yorkshire, England prior to the Norman Invasion of 1066 AD. The Bates Association website (batesassociation.org) stated the following “Probably the earliest available record of the Bates name is found in the Domesday Book, in that part called the Bolden Book, or survey of the Palatinate of Durham, made in 1183, where in the medieval Latin it is recorded Obertus Bate tenet 17 bovat etc”. Some spelling variants or names with similar etymologies include Bate, Battes, Baites, Baits, Beates, Boates, Baytes, Bateson, Bat, Batt, Bath, and Bathe and others. The last name Bates ranks 293rd in popularity in the United Status as of the 2000 Census. The name ranks particularly high in the following seven states: Alabama, Tennessee, Michigan, Mississippi, Arkansas, Oregon, and Idaho. The spelling variant Bate ranks 15,408th in the same census. The surname Bates frequency/commonness ranks as follows in the British Isles: England (196th), Scotland (766th), Wales (233rd), Ireland (795th) and Northern Ireland (534th). In England, it ranks highest in county Buckinghamshire. In Scotland, the surname ranks highest in Clackmannanshire. In Wales, it ranks highest in Flintshire. In Ireland, it ranks highest in county Wexford. In Northern Ireland, it ranks highest in 534th. The name is also present throughout the remainder English speaking world: Canada (739th), New Zealand (326th), Australia (306th), and South Africa (1,851st). The 1890 book Homes of Family Names by H.B. Guppy, states the following in regard to this surname: “A derivative of Bartholomew. This surname has two principal centres, one in the counties of Leicester, Rutland, and Warwick, and the other in Kent. Prom these centres it has extended to the adjoining counties; but it is essentially a midland and eastern county name. In other parts of England its place is supplied by other forms of the name, or by other derivatives of Bartholomew. Thus, in Cornwall we find Bate, in Dorset and adjacent counties we have numbers of Bartletts, in Yorkshire Batty, in Northumberland Batey, in Oxon Batts, in Notts Bartle, etc. The original name of Bartholomew is now mostly found in the counties of Kent and Lincoln; but in its numerous derivative forms it is scattered over the land”. Herbert Bat was listed in the Pipe Rolls of Shropshire in 1182 AD. Thomas del Bate was recorded in Yorkshire in 1297 AD. Roger Bate was documented in the Subsidy Rolls of Worcestershire in 1275 AD. The Hundred Rolls of 1273 AD, a census of Wales and England, known in Latin as Rotuli Hundredorum lists three bearers of this as a personal (first) name: Bate de Butwick, Bate le Tackman, and Bathe filius Robert, all in county Lincolnshire. The Poll Tax of Yorkshire in 1379 AD lists four bearers of this last name: Thomas Bateson, Alicia Bate (wyf), Johannes Bateson, and Adam Bate. Early marriages involving this surname include Humphrey Bates to Joane Empson in London in 1615 and William Bate to Anne Hill in London in 1621. The following is a discussion of four different noble, royal, landed, or aristocratic families bearing this last name. Milbourne, quartering Moore of the Moor; and Brochwel Ysgithrog, Prince of Powys. The Bates family motto is A callow blaenawr, os na a llaed blaenawr. The family was seated on Heddonbanks, Wylam-on-Tyne, England, in modern day United Kingdom or Great Britain. Joseph Bates, Esquire of Springhall, county York, married Rebecca, daughter of Joseph Walker. He died in 1846. His son was Edward Bates, Esq. of Manydown Park, Hants, a Justice of the Peace, Deputy Lieutenant, and Member of Parliament who was born in 1816. In 1844, he married Ellen, daughter of Thomas Thompson of Hessle, and had seven issue with her as follows: Edward Percy (married Constance Elizabeth Graves), Gilbert Thompson, Sydney E., Wilfred, Ann Millicent, Mabel Stenhouse, and Norah Greame. This family was seated at Manydown Park, Basingstoke, England. R.N.R who was born in 1879. In 1907, he married Mary Ann, daughter of Reverend William Lefroy, and had a son with her named Edward Peroy who died in World War II. Sir Percy died in 1946 and was succeeded by his nephew: Sir Geoffrey Voltelin Bates, 5th Baronet, born in 1921. Geoffrey was an M.C., of Gyrn Castle, county Flint, as well as Captain of the 8th Hussars who served in World War II. In 1945, he married Kitty, daughter of Ernest Kendall Lane, of Saskatchewan, Canada, and had a son with her named Edward Robert who was born in 1946. The Bates Coat of Arms (erroneously called the Bates Family Crest) is blazoned in heraldry as follows: Argent, on a fesse azure, a quatrefoil, between two fleurs-de-lis of the field, in chief two quatrefoils, and in base a fleur-de-lis both azure. Crest: A stag’s head, erased, azure attired or, charged on the neck with two quatrefoils in pale, and pierced by as many arrows in saltire all gold. Motto: Labore et virtute. The family seat was at Hinderston Hall, Neston, Cheshire, England. The family resided at Poulton Hey, Bebington,Cheshire. Deputy Lieutenant, and Member of Parliament. 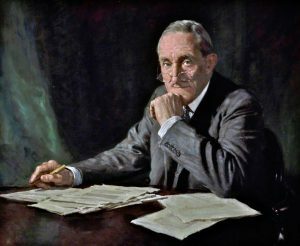 He was also the Minister of Home Affairs in Northern Ireland and was sworn to the Privy Council of Ireland and Northern Ireland, in 1921 and 1922, respectively. He was created a Baronet in 1937. 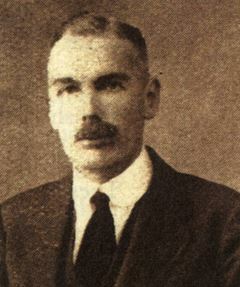 In 1920, he married Jessie Muriel, daughter of Sir Charles John Cleland of Bonville, Maryhill, Glasgow, and had a son with her named John Dawson (born 1921, Major of the Rifle Brigade who served in World War II). 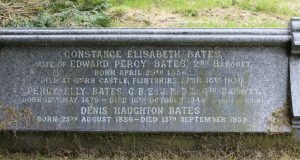 He was the son of Richard Dawson Bates, Solicitor of Belfast, and Mary Dill. This family resided at Butleigh House near Glastonbury, Somerset, England. Thomas Bates had a son named Robert. Robert Bates was born in 1545. He had a son named Cuthbert. This Cuthbert was born in 1566. He had a son named Thomas. This Thomas was born in 1596. He had a son named Ralph. This Ralph Bates was born in Earsdon, Northumberland, England in 1613 AD. He married Mip Clayton and had a son with her named Ralph. This Ralph Bates II, also called Raphe, was born in the same twon in 1613. He married Margaret Challoner and had a son with her also named Ralph. Ralph Bates III was born in 1646. He married Anne James Hedworth and had a son with her, also named Ralph. His son Ralph Bates was born in Harreton, Durham in 1688. He was the father of Ann Bates, who was born in 1715 in Houghton Le Spring. She married Cuthbert Hutchinson and died in 1801 in Whitburn. 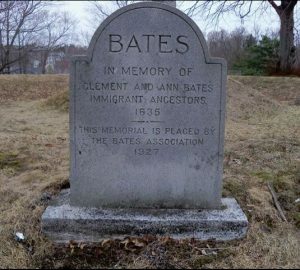 His son was Edward Bates (aka Elder Bates) who was born in Aston Clinton, England in 1606 and he came to colonial America. He married Susanna Putnam and had the following issue with her: Susanna, John, Prudence, Increase, Mary, Anne, Edward, and Jehoshabeath. His son Edward was born in Weymouth, Massachusetts in 1655. 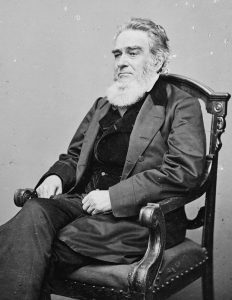 He married Elizabeth Shaw and had the following issue: Temperance (Bunch), Ebenezer, Elizabeth, Samuel, Susanna (Thomas), Edward, John Sergeant, Ebenezer, Joseph, Samuel, Mary, Benjamin, and Eleazer. His son Joseph Bates was born in Weymouth, Massachusetts in 1689. He married Joanna Tinkham and later Mary Blossom, and had three issue with her: Joanna, Mercy, and Joseph. His son Joseph was born in 1772, married Eunice Tinkman, nad had a son with her named Joseph. This Joseph Bates was born in Middleborough, MA in 1762. He married Lucy Lee and had a son with her named Roswell. Dr. Roswell Bates was born in Rutland, Vermont in 1788. He married Phebe Briggs, Mary Williamson, and lastly Adelia Judson. He had two issue: Charles Carroll and Marion Elizabeth. His son Charles Carroll Bates was born in 1829. He married Charlotte Clark and passed away in September of 1883. John Bate came to Virginia (Wariscoyack?) aboard the Addam in 1621. John Bates, age 44, came to Virginia aboard the Southampton in 1623. Clement Bates, age 40, along with his wife Ann of the same age, and five children (James, Clement, Rachell, and Joseph, Benjamin) came to New England aboard the Elizabeth in 1635. In April of 1635, James Bate, age 53, his wife Alice, age 52, and his four children (Lyddia, Marie, Margaret, and James) came to New England aboard the Elizabeth. William Bates, age 17, came to Bermuda of the Somer Island aboard the Truelove in June 1635. Richard Bates, age 16, came to Virginia aboard the Globe in August 1635. Nicholas Bate, age 24, and William Bate, age 35, came to Virginia aboard the Globe in August 1635. Richard Bates came to the New World aboard the Expedition in April 1679. Lettecia Bate, who had one servant and four slaves, was recorded in the town or parish of St. Michaell’s, Barbados in 1680. Colonel (?) William Bate, owned 125 acres of land and 60 slaves in St. Michaell’s, Barbados in the late seventeenth century. 1) Clement Bates, came from Hertsfordshire, Kent, England aboard the Elizabeth in 1635 at the age of 40, with his children Clement, James, Richard and Joseph. While living in colonial America, he had a son named Samuel, and perhaps other issue. 2) Edward Bates of Boston, MA who came aboard the Griffin in 1637. He had a son named John in 1642. 3) John Bates of Haddam and Stamford, Connecticut, recorded in 1669 and had a son John in 1668 and a son named Solomon in 1670. 5) Robert Bates, of Wethersfield, Connecticut, moved to Stamford, and died there in 1675. He was one of the first purchasers of Stamford in the year 1640. 6) Robert Bates of Lynn, Massachusetts, had a son named John (who died in 1672), Rebecca (1673), and Sarah (1676). Other early settlers in colonial America bearing this surname who came during the eighteenth century include Judith Bates (Virginia 1704), That Bates (Virginia 1714), Nicholas Bates (Connecticut in 1741), Johannes Bates (Pennsylvania 1754), and John Bates (1767). In Canada, one of the first settlers with this surname was Walter Bates, who came to New Brunswick in 1783. In Australia, John Bates and William Bates, convicts from Cambridge and Chester, England, respectively, came to New South Wales aboard the Asia in September 1820. In New Zealand, one of the earliest settlers was John Bates, who came to Onehunga, Auckland in 1840. 1) Sable a fess bet three dexter hands argent. 2) Sable a fess engrailed between three dexter hands in bend argent couped at the wrist. In the new (1917) chapel at Ocean Point, Boothbay, Maine. Memorial window given by Lewis G. Wilson for his mother Lucy, daughter of Dr. Geo. Bates. 3) Lahore et virtute (By struggle and courage) or (With strength and effort). There are hundreds of notable people with the Bates surname. This page will mention a handful. Famous people with this last name include: 1) William Frederick “Bill” Bates (1961) who is a former American football player born in Knoxville, Tennessee who played for the Dallas Cowboys from 1983-1997, 2) Arthur Laban Bates (1859-1934) who was a Republican member of the US House of Representatives from Pennsylvania who served a decade between 1903 and 1913, 3) Bob Bates (1923-1981) who was an American jazz bassist best-known for playing said instrument in the Dave Brubeck Five between 1954-55, born in Pocatello, Idaho, 4) Edward Bates (1793-1869) who was the 26th Attorney General under the Lincoln Administration, and a member of the US House of Representatives for Missouri, a lawyer and statesman born in Goochland County, Virginia, 5) George Joseph Bates (1891-1949) who was a member of the US House of Representatives for Massachusetts from 1937-1949 and also the 41st Mayor of Salem, MA, 6) Katharine Lee Bates (1859-1929) who was an American songwriter born in Falmouth, MA who is best known for writing the words to the popular patriotic song “American the Beautiful”, 7) Isaac Chapman (1779-1845) who was an American politician that served as a Member of the US House of Representatives (1827-1835) and a US Senator (1841-1845), 8) Martin Waltham Bates (1786-1869) who was a lawyer born in Salisbury, Connecticut who served as Senator from Delaware from 1857-1859, having earlier served in the Delaware House of Representatives, 9) Leon E. Bates Sr. (1899-1972) who was an African American born in Carrollton, Missouri who became a labor union leader with the United Auto Workers from 1937 to 1964, and 10) Mick Bates (1947) who was an Independent Liberal Democrat Member of the Welsh Assembly for Montgomeryshire between 1999-2001. The two main heraldic symbols or devices in the Bates Coat of Arms (erronouesly called the Bates Family Crest) are the hand, fesse engrailed and cinquefoil, each which has its own unique meaning. The hand, unless we are told otherwise is a dexter (right) hand shown palm outwards and fingers upwards. It demonstrates faith, sincerity and justice, and in the form of two right hands clasped can mean union or alliance. There is a special form called the “Hand of Ulster” which is a sinister hand gules on an argent background (a left hand, red upon white). Originally the Badge of Ulster, the Province of Northern Ireland, it has come to be used as an addition to existing arms, in an escutcheon (small shield) or canton (small square) to indicate that the holder is also a Baronet. The fesse is a broad horizontal band across the centre of the shield, in very ancient times it was said to occupy one third of the area height of the shield, however it soon became somewhat narrower. This created an opportunity to add decorative edging to the band, of many forms, and to very pleasing artistic effect, at least close up – it must be admitted that at distance some of the forms are hard to distinguish! The pattern engrailed is a series of scalloped indentations with the points facing outwards – and should not be confused with invected, which has the points facing inwards! Wade believes that both of these indented forms represent “earth or land”, and one perhaps can indeed see the furrowed earth embodied in them. The most common tincture (color) is sable (black), which conveys or signifies grief, wisdom, prudence, and constancy.